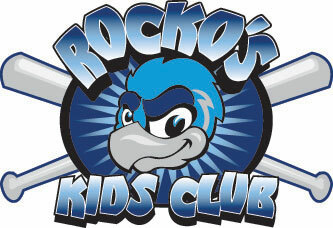 August 23, 2010 - WINNIPEG, Manitoba – The Rockford RiverHawks made the most out of rare scoring opportunities and turned in a couple of clutch pitching performances in a 6-4 win Monday at Winnipeg. Jono Brooks hit his fifth home run of the year for Rockford, which was retired in order in six of nine innings but won its third game in a row. Brooks’ homer capped a four-run, sixth-inning rally that started with two outs. The RiverHawks moved past Winnipeg into fifth place and stayed two games behind Joliet for the last Northern League playoff spot. The fourth-place Jackhammers beat Schaumburg, 4-3. Winnipeg starter Chris Salamida (9-8) opened the sixth inning with two strikeouts, but surrendered consecutive singles to Travis Scott, Evan McArthur and Jake Eigsti. Eigsti singled up the middle to break a 2-2 tie and Brooks followed with a three-run homer to left-center field. Rockford starter Kyle Ruwe gave up a walk and a double to start the Winnipeg fifth inning, but survived to get the win. Ruwe struck out Justin Justice swinging, then intentionally walked a batter. He struck out Dee Brown looking at a pitch on the outside corner – plate umpire Reggie Jackson ejected Brown for arguing – then finished the inning on Vince Harrison’s grounder to first base. Ruwe (6-7) struck out five and walked four in five innings. Reliever Mike McTamney entered in the bottom of the sixth after a two-out Donzell McDonald home run and gave up a double to Kevin West, but struck out Juan Diaz swinging to get out of the inning. Rockford closer Scott Roehl gave up a West homer in the ninth, but recorded his team-record 17th save. Winnipeg left 11 on base. The series continues at 7 p.m. Tuesday.